" Lisa was easy to work with. Kept in constant communication. Knew what the area was doing and got our house sold within 2 days. Did a great open house and staged the house for us too. " " Lisa was by far the BEST real estate professional that I have ever had the privilege of working with. She is just a wonderful person, and I could not have asked for better service or representation. She went above and beyond for me and my family, and I will never use anyone else but her! " " Lisa is hands down the best realtor I've ever worked with. I had a very short timeline to relocate and she immediately put together a large list of properties and began putting together a plan. She went well above and beyond to help me find the perfect place and I will be a customer for life. Highly Recommend!!! " " Lisa is the best realtor, she is very kind and patient. it took us a while for us to find our perfect home and Lisa was with us since day 1, she never complain and listened to what we wanted. Awesome Realtor. Highly recommended "
" Lisa is absolutely amazing!! Because I am relocating, I didn't have a real estate professional in Austin so I inquired about a property that I liked and she was the agent listed on the listing. She immediately connecting with my via email and set me up to look at additional listings available on the MLS. We set up a time for me to come to Austin to look at the houses I selected and she dedicated the entire day to helping me find the best home possible. She is very friendly and will get the job done. I enjoyed all of the time that I spent with her. She went from stranger to family member very quickly. I highly recommend her and will use her when I am ready to purchase. " " Being first time home buyers, my wife and I were anxious about the home-buying process. Lisa was able to calm our nerves and answer any and all questions we had along the way. Lisa did an outstanding job communicating with us and handling negotiation discussions between the builder and ourselves. Lisa is reliable, and she is an expert at her craft. She is incredibly knowledgeable about the market, and she will go above and beyond for her clients, as she did for my family. We were lucky to have found someone so honest and caring. We are looking forward to maintaining our relationship with Lisa and will, without question, use Lisa again when the time comes to sell our current house and begin the search for a new one. I highly recommend Lisa, and I strongly urge others to contact her if they are looking to sell or buy a home. Lisa does things the right way, and she is a pleasure to work with. " " This is the first time for us to sell our house and we are so lucky to have Lisa guide us throughout the journey. She has made our life so much less stressful. She is so pleasant to work with, very calm and knowledgeable. She would always go above and beyond to help us and never say no if we have any requests. She is also very reasonable with her requests when comes to repairing/getting the house ready for sale. We are very impressed with her staging team and the flyer for the house was absolutely amazing. She helped us priced the house strategically so we would not only sell our house the first week but got multiple offers over the listing price. We would absolutely use her again and would refer her to my friends. " 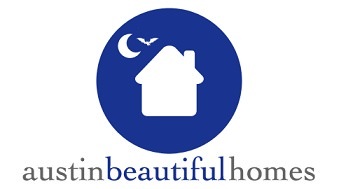 Lisa Larkin specializes in residential real estate in Austin, TX and its surrounding areas. She has lived in Austin since 1985 and has a real estate development background. Since earning her license in 2011, she has won prestigious awards: 2016 Platinum Top 50 Finalist, 2014 Top 5 Sales, 2014 and 2013 Top 5 Transactions Closed, and 2013 Avalar New Agent of the Year. Lisa is also a member of the Austin Board of Realtors Professional Standards Committee and Texas Realtors Leadership Program. Lisa has found clients their dream homes in West, Central, and Northwest Austin neighborhoods such as the Arboretum, Westlake, Tarrytown, Riverplace, Steiner Ranch, and downtown Austin. In addition, Buda, Kyle, Dripping Springs, and Cedar Park. All this experience, having raised four children in the Austin area schools, and volunteering for Austin Junior Forum and CASA, makes Lisa the Austin area expert.